To the following teachers, I express my gratitude. They each, in their unique ways, have supported my journey, helping me to connect with and express my deep creativity and passion. Their influence is with me every day. Thanks to Tom Rogers, President of the Qigong Institute for the incredible work he does for this organization. The Qigong Institute was founded in 1984 by Dr. Ken Sancier after retiring from Stanford Research Institute. It is a non-profit organization dedicated to promoting the scientific understanding of the basis of Qigong through research and education. www.qigonginstitute.org is an amazing site with articles, research information, videos and numerous resources. It is a treasure for anyone who is interested in Qigong! Roger Jahnke, O.M.D. is Director of The Institute of Integral Qigong and Tai Chi (IIQTC). Since 2002, I have studied with Roger many times; I certified in the IIQTC 200 hour Teacher Training with him in 2003. He is an excellent teacher with long time training and knowledge in Chinese Medicine, Qigong and Tai Chi. Roger teaches with a great sense of humor. We share a passion for making Qigong easy for many people to access. Dr. Jahnke is the author of two outstanding and user friendly books: The Healing Promise of Qi and The Healer Within. A free newsletter is available through the links below. Angeles Arrien, PhD. 1940 – 2014 “cross-cultural anthropologist, award winning author, educator and consultant” and extraordinary teacher. In 1996/97, I spent one weekend each season studying The Four Fold Way: Walking the Paths of the Warrior, Healer, Visionary, and Teacher with Angeles. Since then, I also attended various weekend workshops with Angeles and participated in a week long retreat with her in Mexico. Her teachings are profound and still inspire me every day. In addition to The Four Fold Way, Angeles Arrien’s most recent book is Living in Gratitude: a Journey That Will Change Your Life. There is no longer a website for Angeles Arrien. If you google her name, it will lead you to information about her long time work that focuses on indigenous wisdom. Milton Trager, M.D. (1908-1997), creator and founder of The Trager Approach, “a gentle, effective approach to movement education and mind/body integration.” My 25 year study and practice of the Trager Approach with many clients was instrumental in my understanding of the deep connection between movement and body/mind integration. Trager was a “coming home” for me. Dr. Trager’s questions to the body would be: “Well … What’s half that effort?” or “What’s softer or easier?” PAUSE and let your body answer. My many years of training in The Trager Approach has profoundly influenced my teaching of “Qigong for Good Health” and my deep understanding how we might re-connect with our bodies. Daoist Philosophy and Practice. If you are interested in learning more about Qigong and Daoist philosophy, this is an excellent magazine. Solala teaches Qigong and leads amazing trips to China each year. In 2010, my husband and I travelled to China with Solala and a small group of people. One of the highlights was five days in the sacred Wudang Mountains practicing Qigong in some of the ancient temples. Many of the photos on this website are from that trip. 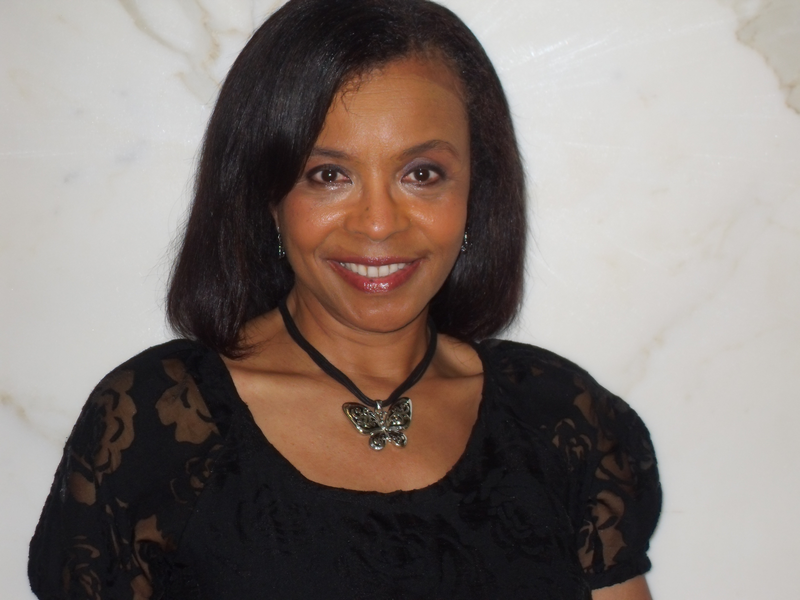 Dr. Carol Penn, dancer, medical doctor, and founder/choreographer of Core of Fire, an Interfaith Dance Ministry. Being a member of the Core of Fire has inspired my “dancer within.” It is a joy to move with this group of women. Carol is a wonderful and creative guide, helping us to express the spirit of dance together. In 2008, Carol attended Maxine’s “Qigong for Good Health” classes. She was so inspired by the movements of Qigong that she set choreography to the music of the Beattles song, “Let It Be.” The Core of Fire dancers have taught this Qigong dance to many people as an expression and offering for peace. Master Jiang Jianye, Calligrapher and Tai Chi Teacher. Jianye created this calligraphy for me. It means “mountain dancer” and expresses my love for climbing mountains and dancing on the earth. Robert Peng is an extraordinary teacher – clear, kindhearted and generous. I have studied with him at Omega Institute in Rhinebeck, NY and in Costa Rica. Check out his wonderful book, The Master Key: Qigong Secrets for Vitality, Love, and Wisdom. Robert is based in New York City. Go to his website for information, including a free and very interesting newsletter, and for upcoming workshops. Michael Winn is a brilliant teacher. He shares his depth of knowledge from years of study in many fields. 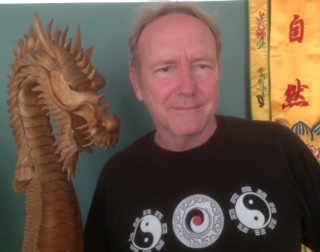 His current teachings focus on Qigong and Taoism. He was my first teacher of Primordial Qigong, which has become one of my favorite forms. His support materials include excellent DVD’s, YouTube videos and written pages. He occasionally presents workshops at the New York Open Center and offers Healing Tao Retreats in North Carolina for many weeks in the summer. In June of 2015, I had the privilege of attending Medical and Spiritual Qigong Fundamentals with Michael in North Carolina. Look for news about the annual NQA Conference where you can experience many fine teachers. The 2017 NQA Conference will be held in Newark, NJ, an easy train ride from Newark Airport, New York City and many parts of New Jersey! On the NQA website, you can also find articles and research information about Qigong & Tai Chi. Under “Resources,” there is an excellent article entitled What is Qigong. The site also includes a video of the DVD Five Treasures Qigong. Omega Institute for Holistic Studies, Rhinebeck, NY. for workshops in many areas with fine teachers from early spring through fall. www.eomega.org When you go to the site, google “Qigong” to find the many offerings.